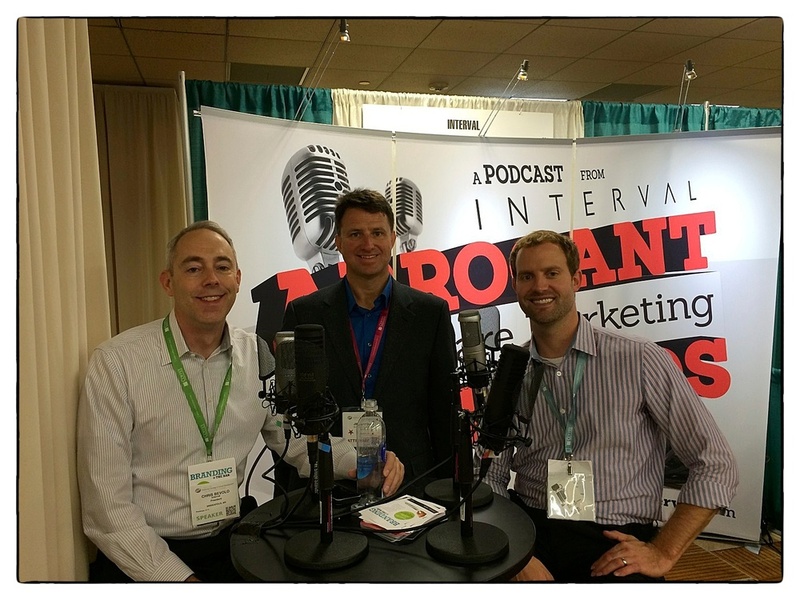 I recently had the very distinct pleasure of joining the Arrogant Healthcare Marketing Bastards podcast crew on air for a lively and wide-ranging conversation. We did our best to solve all of health care's problems. Well, at least we got them out in the open! Three Arrogant Healthcare Marketing Bastards at SHSMD: Chris Bevolo, Jim Rattray and Robert Prevost. This episode was recorded live from SHSMD 2013 in Chicago on September 30 with hosts Chris Bevolo, CEO of Interval, and Robert Prevost, Senior Account Director. Joining us for a drop-in were Peggy Kane, Vice President of Business Development for GLC, and Warren Johnson, Corporate Marketing Director at MidMichigan Health in Midland, Mich. The Arrogant Healthcare Marketing Bastards is a weekly show that dissects health care marketing and is hosted by Interval, a Minneapolis-based health care marketing firm. Thanks to Chris, Robert, Jackie Ritacco and Adam Meyer (back in the Twin Cities) for inviting me on the show. It's always a great listen. Subscribe in iTunes or via RSS.